inDemand is a new model where Healthcare organizations and companies co-create Digital Health solutions, with the economic support of public regional funds. Why is this model innovative? inDemand applies at the same time demand-driven and co-creation approaches. “inDemand solves challenges identified by the customer -the Healthcare organizations-. That’s why we talk about a demand driven model. This approach is going to increase the capacity of health entities to systematically identify and solve their needs while creating opportunities for private companies”, explains Jorge González, director of TICBioMed and coordinator of inDemand. About the added value of the co-creation process between Healthcare organizations and IT companies, González points out that “the expected result are digital solutions with higher success rate -in terms of their application in practice/market uptake- because they have been developed side by side with the client. Thanks to co-creation, developers will have an agile feedback and a better view of the needs”. This innovative model will be implemented in 3 pilot regions: Murcia Region (Spain), Paris Region (France) and Oulu Region (Finland). inDemand has high potential for replication through a community interested in promoting innovation in Health and in other sectors, although the project will test and develop models only in the health sector. The initiative includes a special mentoring of 12 ‘mirror regions’ to receive coaching to implement the model in their own region, leveraging existing regional structural funds. Other regions will have also the chance to access to best practices and lessons learnt even after project end. 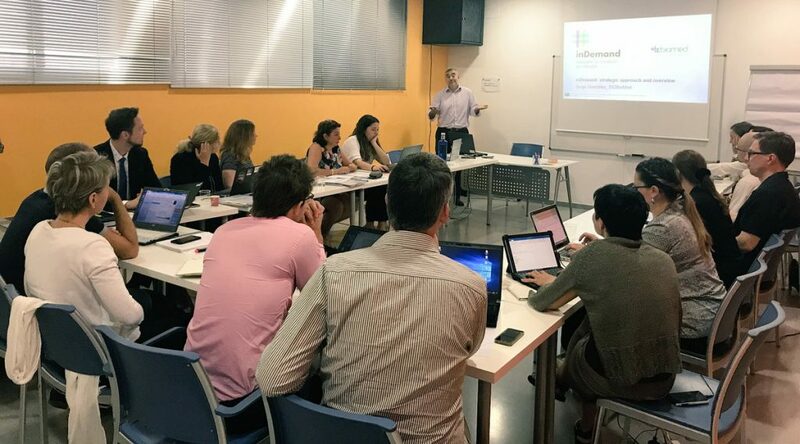 “The European regions selected will have access to know-how, lessons learnt and documentation produced during the project”, explains Jorge González. Those regions interested in becoming a part the community can express their interest in this quick form. We will keep you updated!